OnePlus is a Chinese smartphone maker founded in 2013 by Pete Lau, the former vice-president of Oppo and co-founder Carl Pei. The Shenzhen based company is best known for its lineup of affordable flagship devices that have over the years earned themselves a reputation for being great value for money devices. OnePlus almost single handedly managed to create this entirely new segment of affordable flagships and has since then managed to dominate that very space. 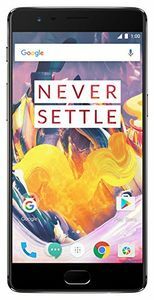 The company burst onto the scene with its first smartphone the Oneplus One and has since the went on to launch several new handsets. The newest handset that totes the OnePlus logo is the OnePlus 6. 1. What do Vivo, Oppo and OnePlus have in common? A common thread between these three brands is the Chinese multinational corporation, BBK. It owns a slew of popular brands in the consumer electronics segment, three of the smartphone brands owned by BBK are Oppo, Vivo, and OnePlus. 2. How is the display and screen resolution of OnePlus phones? 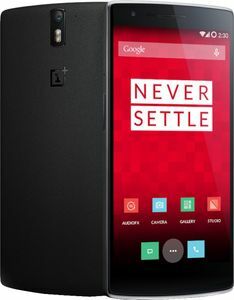 OnePlus has emerged as one of the most popular smartphone brands across the globe. The OEM has stuck to its motto, i.e. offering 'killer' flagships under affordable prices. Since its first phone, the OnePlus One, the company has used best of the displays according to the timeline of launch. The company's latest flagship, the OnePlus 6T, features an AMOLED panel. 3. How is the camera quality of OnePlus mobiles? OnePlus has always focussed on bringing premium camera specs to its devices. It was among the first few companies to adapt dual-camera setup alongside features such as Bokeh Mode. The camera quality has always been great on OnePlus phones. 4. What operating system do OnePlus phones run? OnePlus phones run Android OS at the core with an overlay of its proprietary OxygenOS. 5. How to upgrade the OS in the OnePlus phone to the latest Android version? Usually, OS updates are rolled by the company, but if your phone is yet to get the update for the latest Android version, then you can try to update your phone by flashing the beta update for your device. However, we recommend not trying this method if you have no prior experience in rooting your phone. 6. Do OnePlus phones feature fingerprint sensor? Yes, almost all the OnePlus phones come with a fingerprint sensor. The latest OnePlus 6T smartphone features an In-display fingerprint sensor. 7. How is the gaming experience in OnePlus phones? The gaming performance on a smartphone depends on the processor. Concerning OnePlus, the company has always used the top of the line SoCs for its phones that ensures powerful gaming. The latest OnePlus 6T is powered by a Snapdragon 845 chipset, which is the most potent SoC you can have on a smartphone currently. 8. In what specs do OnePlus 3T differ from OnePlus 3? The difference between the two phones lies in the key specs such as the processor, front camera, battery, and storage. The OnePlus 3 comes powered by a Snapdragon 821 chipset while the 3T boasts Snapdragon 821. The OnePlus 3 has an 8MP front camera, 3000mAh battery, and 64GB storage while the OnePlus 3T sports a 16MP selfie snapper, 3400mAh battery, and 64GB/128GB storage options. 9. Is the internal storage expandable in OnePlus phones? Yes, you can further expand the internal storage on OnePlus phone via microSD card. 10. What are the colour variants available in OnePlus phones? That depends on the phone you're buying. For example - the OnePlus 6T smartphone is available in Midnight Black, Mirror Black, Silk White, and Red color variants. 11. How is the battery backup in OnePlus phones? Battery backup on OnePlus phones is standard. It also depends on the intensity of phone usage from user to user. For some, the phone may last for an entire day on moderate usage while for some it may not last for more than half a day. 12. 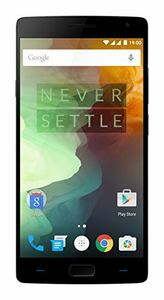 Do OnePlus phones support quick charging? Yes, OnePlus has its own quick charge technology known as Dash Charge. In the OnePlus 6, the Dash Charge is claimed to charge the phone from zero to 60 percent in just 30 minutes. 13. 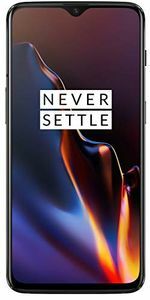 How is the after sales service of OnePlus? The brand has recently been named as one of the consumer favorites in India by CounterPoint research. If that is anything to go by, we assume that the brand offers satisfying after sale service. Besides, it does have service centres across India, covering most of the tier 1 and tier 2 cities. 14. Do OnePlus mobiles have Corning Gorilla glass protection on its display? Yes, almost all the phones from OnePlus have that. 15. Which is the latest OnePlus phone? 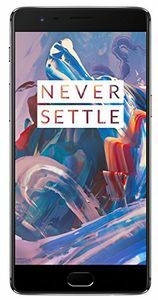 The latest OnePlus smartphone is the OnePlus 6T, launched in October 2018. 16. 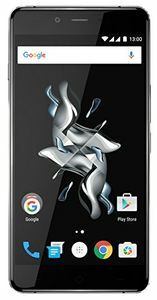 Are OnePlus phones Good? Yes, they offer top-end flagship specs at affordable price. Besides, over time the brand has managed to emerge as one of the best in the industry. We can easily deem OnePlus phone to be good! The camera testing lab DxOMark has given its score for the OnePlus 6T, proving that the camera gear on the OnePlus 6T is indeed better than that of the OnePlus. This shows that OnePlus was not exaggerating the camera improvements in the OnePlus 6T while marketing it. The overall score of 98 points makes the OnePlus 6T tie for the 10th rank with Google's Pixel 2. Launched in May this year, the OnePlus had scored 96 points.